Tool 6 in 1 Screwdriver | Promotional Tool 6 in 1 Screwdrivers imprinted with your logo. 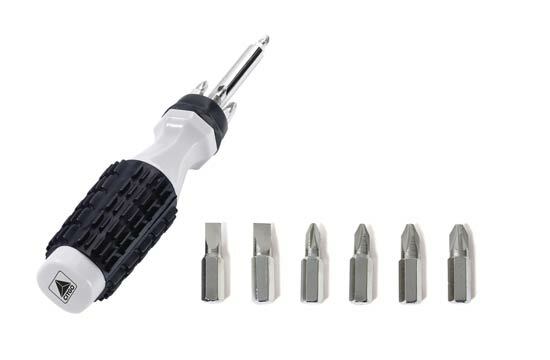 6 in 1 Screwdriver Set includes 6 precision screwdriver bits which are held magnetically in the end of the extension rod. 6 in 1 Screwdriver Set is a durable unit, also has a comfort-grip handle with storage area for screw bits. Perfect gift for the guys.